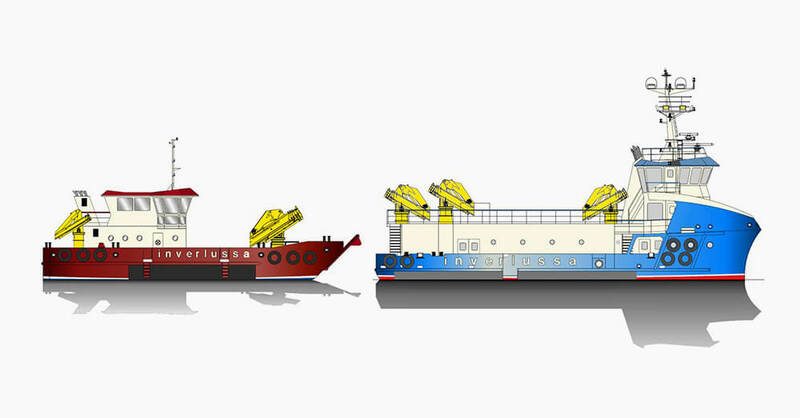 Vera Navis was chosen to provide structural and system detail design to two Aquaculture Support Vessel’s. The first vessel is 21m and has been designed for multirole mooring, grid work and general services while the second vessel will be 26m long and will perform mechanical treatment, as well as sitework tasks, and is intended for a long-term charter with one of the largest salmon producers in Scotland. The vessels are being built at Ferguson Marine Engineering for Inverlussa Marine Services and were designed by MacDuff Ship Design. The first vessel is due to be completed in May 2019 and the second vessel by late 2019. Vera Navis will provide construction plans for Detail Design of Structures and Main Systems, and a three-dimensional model of the ships.